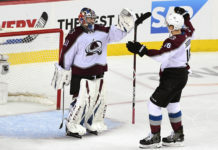 Despite losing a couple of games in a worrisome fashion, the Colorado Avalanche have a few things that are, actually, looking pretty good. They have been hitting, blocking shots, the power play has scored in every game so far. And none of that is to mention the outstanding play of the fourth line. 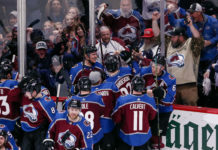 The fourth line has been playing at such a high level that head coach Patrick Roy said that it would be insulting to even call them the fourth line. 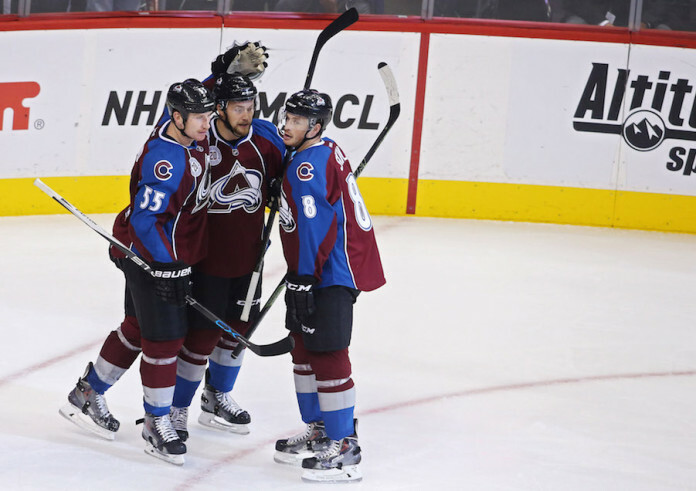 Consisting of John Mitchell at center, Cody McCleod on the left wing and Jack Skille on the right, the “fourth line” has a goal in every game. 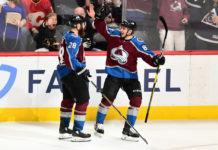 While all all three goals have been from John Mitchell, it’s impossible to discount how hard they have played and how effective they have been as a unit. Coach Roy likes to use them when there is a faceoff in the defensive zone, no matter what line they are going against. This has proven to be helpful in matching the Avalanche’s first and second lines against the opponent’s lower lines later on. This line’s ability to dump the puck in the offensive zone, and then go regain possession using their physical style of play has earned them the right to extensive ice time. The fact that they have scored a goal every game is a bonus, considering that scoring is not necessarily their role. They are meant to bring a high-energy, physical game that helps set the pace and spark the rest of the team. This line has been impressive, to say the least, and have set the standard for effort and hard work. If the rest of the team feeds off of the fourth line energy and the fourth line keeps scoring, this team should be in good shape for the rest of the season. Facing a difficult weekend against the Anaheim Ducks and the Los Angeles Kings, the “hard work” mentality will be essential.